Human Resources may lack the adrenalin of championship mountain biking but Andréanne Pichette always knew that riding would not turn into her defining career. She’s now riding another path, one that involves helping employees feel good about their work, planning team activities and attracting top talent to Robotiq. 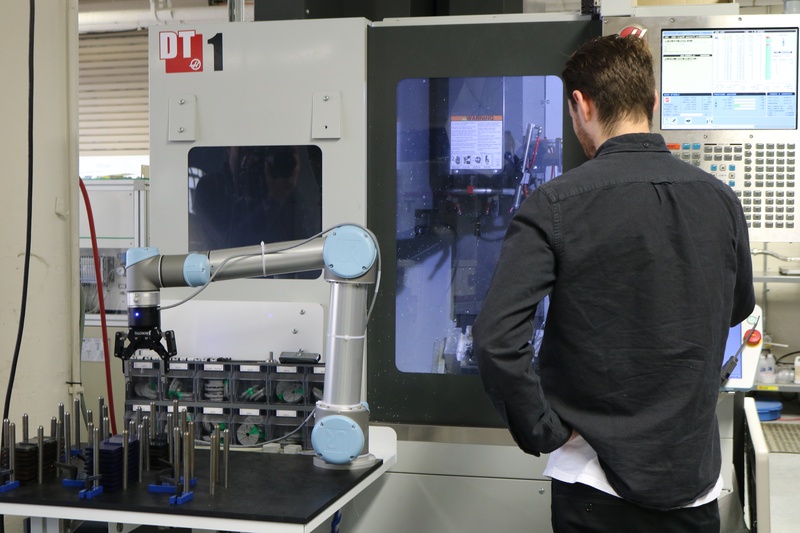 Today, Robotiq counts more than 70 full-time staff, with our Grippers and sensors operating in 40 different countries. For more than a year now, we’ve been telling the stories of our team members. She’s the first person a new hire usually meets and, for those already on the job, she helps define what it means to work at Robotiq. From her side of the job interview desk, Andréanne Pichette puts candidates at ease, and refrains from slipping in a trick question or having the person feel overly scrutinized. “If people are comfortable in an interview, they will give you their best.” And creating a comfortable environment is what she also does for Robotiq employees, making them feel they can easily approach her. That might mean calling on her to organize an office hockey game or sharing the pain of a recent break-up. While she sets out HR policies and attracts talent, she also plays the twin roles of mother hen and event planner. 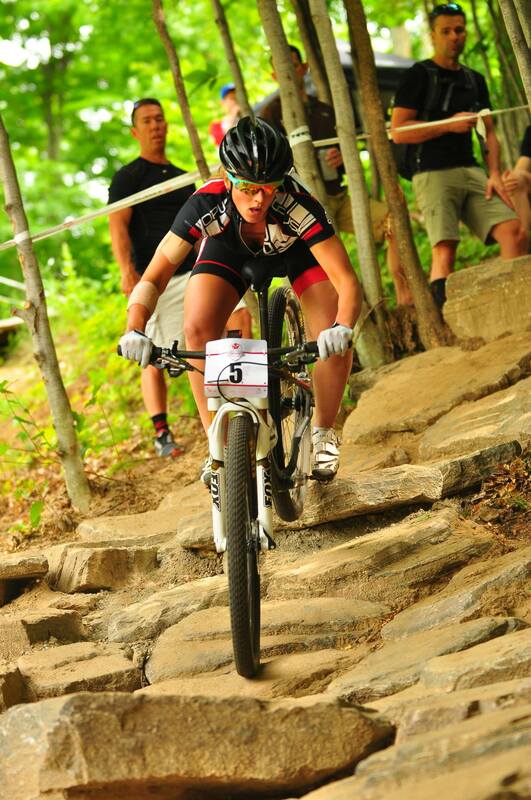 It was only two years ago that Andréanne was competing internationally as a mountain biker. A serious rider from a young age and a winner of provincial championships for several years, her races eventually took her to Africa and South America, and from China to the United States. Throughout her 15 years of barrelling down knobby hills, competition and school work rode in tandem. She knew she needed both balance and a back-up plan, and has always kept one leg in family life and the world beyond athletics. 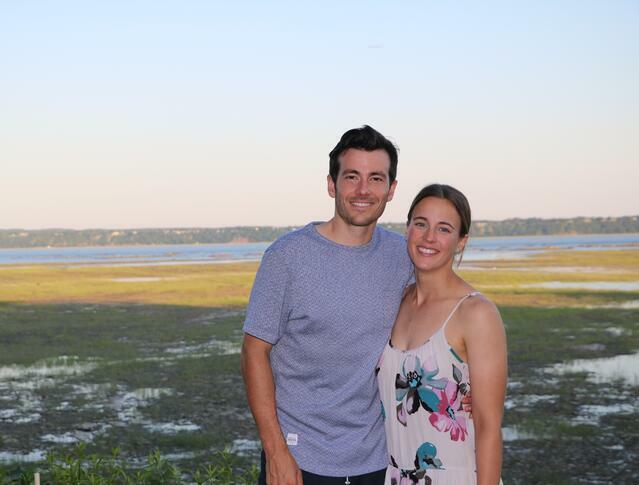 Despite being at the top of her sport, she decided at 25 to change course, and put her energy into a new career and in building a life with her husband Simon Nadeau. The plan has been working out well. Her studies in industrial relations allowed her to ride into Robotiq with HR skills. Meanwhile, Simon now takes up mountain biking for fun, which the couple do together. Andréanne joined Robotiq in January 2017 and has helped it finesse its recruitment efforts. Working with Director, Human Resources & Administration Olivier Vachon, she finds and hires talent, develops sound work practices and comes up with employee activities. The former competitor helps it compete against all the other talent-seeking robotics firms around the world, and is building an office culture that makes people excited to come to work. Meet Andréanne Pichette: Recruitment and Culture Coordinator. 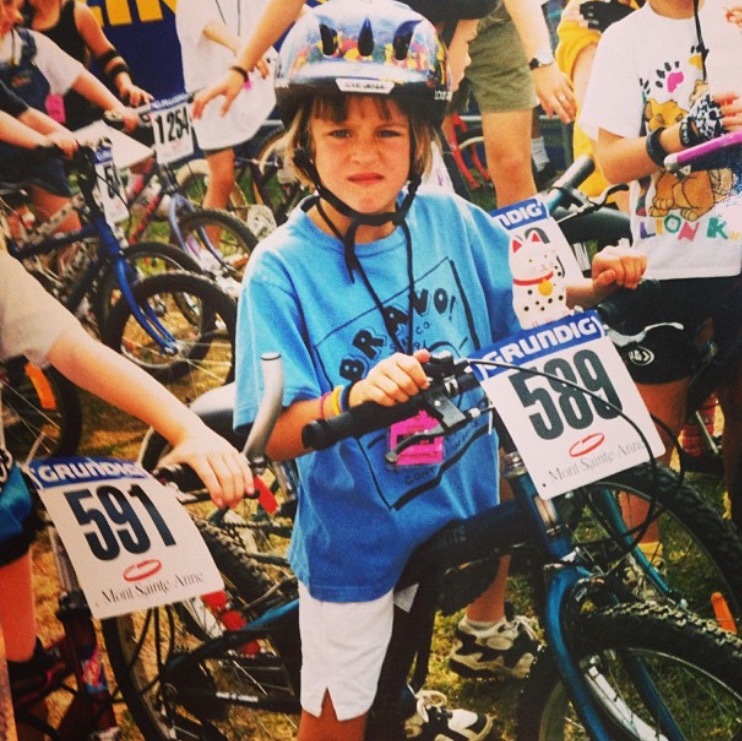 Her childhood was also surrounded by mountain bikers. Her brother and sister, both older than her, would compete in races, with the family setting up a tent trailer or staying in lodging near the course. From the age of five she would be sitting on the sidelines, dying to join her siblings’ races but had to wait until she was 10 before she could compete. 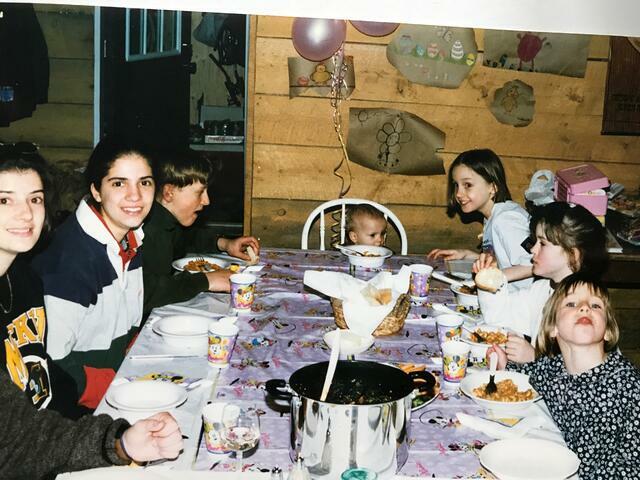 That may be one of the reasons why she came on the scene so strongly and remained there until the age of 25. Her father worked as a plumber and her mother stayed at home with the children, later running a home daycare. Attending private school, Andréanne was friends with many who were expected to become doctors and lawyers, but she did not let that social pressure define her. “My mother would always say, ‘It takes a lot of different kinds of people to make up this world.’” She feels proud that her father, the capable type with whom you’d hope to be stranded on a desert island, managed to provide his family with a good life working for his brother's plumbing business (that her brother, a third-generation plumber, has since joined). At school, she loved languages but was less keen on math and science. By the time she got through high school, she knew she wanted a job where she would be working closely with people, and also had a growing interest in studying business. 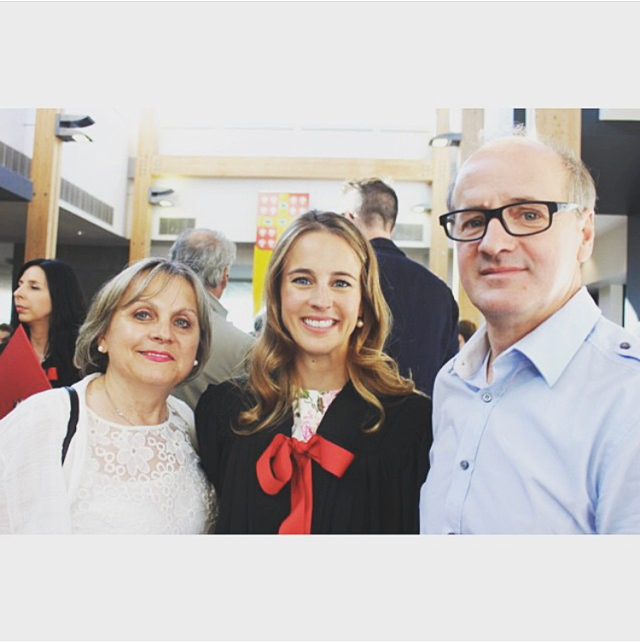 Her cousin, who had studied industrial relations, told her how the field touched on the more social side of management, which convinced Andréanne to take it as a major in university. Splitting her time between school and competitive racing never diminished her passion, but finding time for both did prove to be challenging. While in Italy for a competition, she took an exam via Skype, with her teacher back in Canada looking on. Accommodations were usually rare, though. Varsity athletes were given more leniency with their schedules than those, like her, whose sports were not affiliated with the university. “It made no sense that this person who is playing badminton and going to provincial championship gets an extension, but, for me, if I'm going to a world championship I can’t do my exam later.” She fought for non-varsity athletes to have equity and achieved it at the end of her studies – a gift to those graduating after her. After years of studying and racing at full speed, a well-earned graduation. This was also a time for building a life with Simon, her long-time boyfriend, who proposed to her in the Italian Alps and then surprised her with a wedding five days later, while they were visiting friends in Slovenia. While there was promise in her future, like most graduates, finding work in her field proved to be difficult. She sent out numerous CVs. “They were always asking for three to five years experience. I didn't have job experience, like normal job experience, so it was very hard for me to find a job in HR.” She did get a job as a sale rep for one of her sponsors, an organic food company, but soon realized she was not a natural salesperson. She eventually landed a job at a gym that specializes in workouts for pregnant women, splitting her time between training women and handling HR duties. 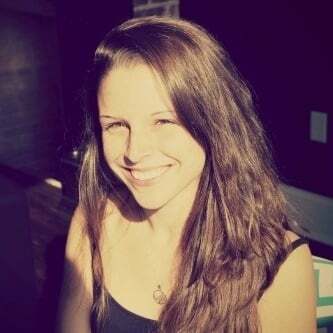 After working there for a year and a half, her friend Mathieu Bélanger-Barrette, a competitive mountain biker, as well as Robotiq’s Junior Production Engineer and In-House Blogger, forwarded her a job ad. He asked if she knew anyone qualified for the recruitment and culture coordinator job. She applied, was interviewed and then hired. Andréanne and Mathieu at a training camp. Who knew that one day they would be working together? Hiring has been the theme for Andréanne. 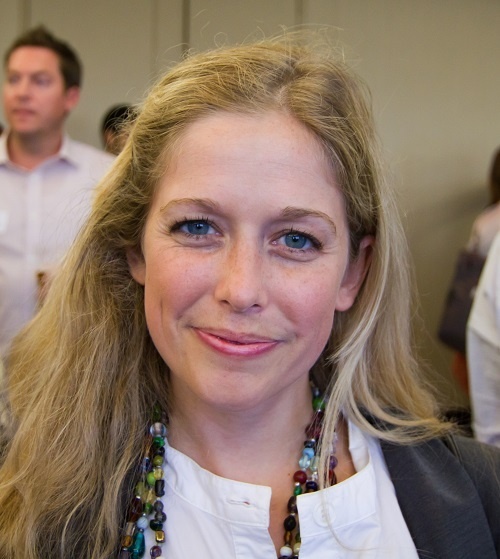 She interviewed and helped hire over 25 new Robotiq employees in 2017. Recruitment has not been easy, though, since the company’s headquarters is located in an industrial park just outside Quebec City. She’s well aware that she can’t offer potential recruits the urban and cultural attractions of a Silicon Valley or even Montreal. 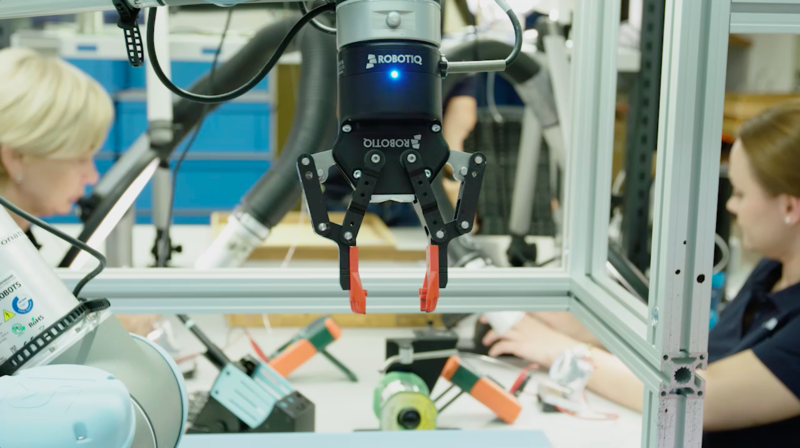 “You have to accept your fate that you're in a smaller city,” says Andréanne, who, nevertheless, has been successfully attracting people to Robotiq, not to mention scoring a 97% retention rate. But it’s also in the smaller things, like keeping an eye out for those who might be struggling emotionally, that help her help others feel good about working at Robotiq. Andréanne chose to put away her bike because she began to see personal sport as a bit of an ego trip. “I wanted to give back,” she says. She is now doing just that, as she champions the cause of Robotiq work culture and makes the company an attractive place to work.